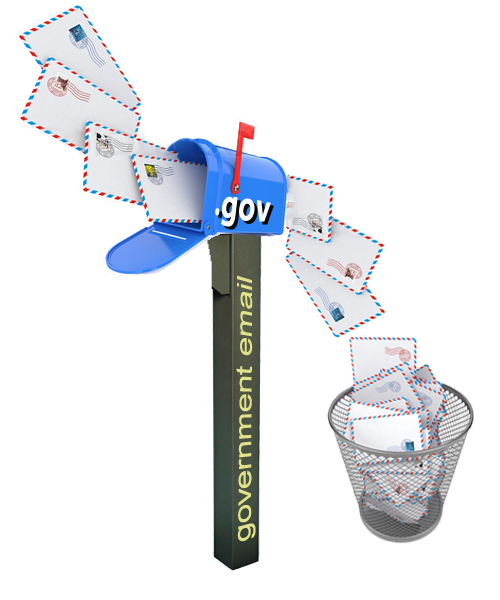 The Defense Intelligence Agency (DIA), the Department of the Treasury’s Comptroller, and the Nuclear Regulatory Commission (NRC) are among a handful of agencies that have already admitted they will not meet the December 31, 2016, deadline for electronic management of official government email – like Hillary Clinton’s – in their mandatory, annual self-assessment report to the National Archives and Records Administration (NARA). The State Department, the Department of Defense, and the Energy Department – some of the government’s largest agencies – all filed their reports, which were due by January 29, more than a month late, and one in six agencies did not even bother to turn in their own self-assessments at all, according to a new Email Alert released by the National Security Archive to mark Sunshine Week. * congressional hearings showcasing the email savers along with the laggards. 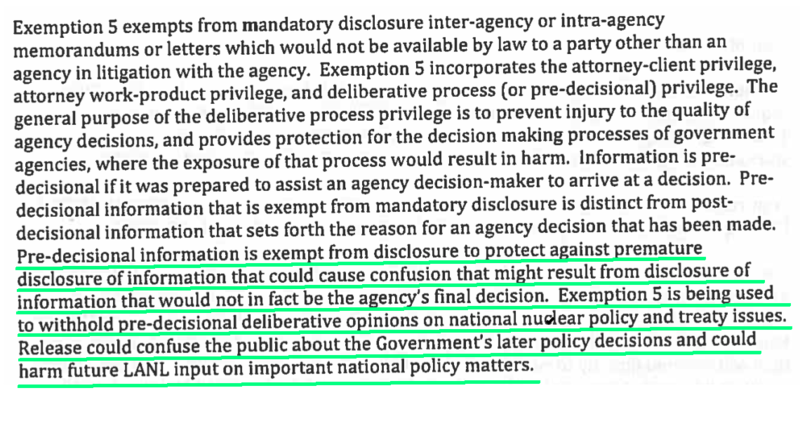 The Archive nominated the Energy Department for the Electronic Frontier Foundation’s FOILIES Award for the most extraordinary and egregious FOIA request responses for withholding a 1978 letter on the Comprehensive Test Ban Treaty (CTBT) in full under FOIA’s oft-abused Exemption Five. DOE withheld the letter from former Los Alamos National Lab director Harold Agnew to the White House’s Office of Science and Technology Policy director Frank Press on the CTBT saying that releasing any part of the document could “confuse the public about the Government’s later policy decisions.” DOE took this untenable stance even though the State Department has published declassified information on the CTBT – and Agnew’s negative views on it – in three Foreign Relations of the United States publications. The CIA and the Justice Department used the same “confusion” argument last year when the Archive went to court to have a history on the Bay of Pigs invasion released. In its ruling the Court invited Congress to place a time limit on the exemption, and Congress is now taking up the challenge. 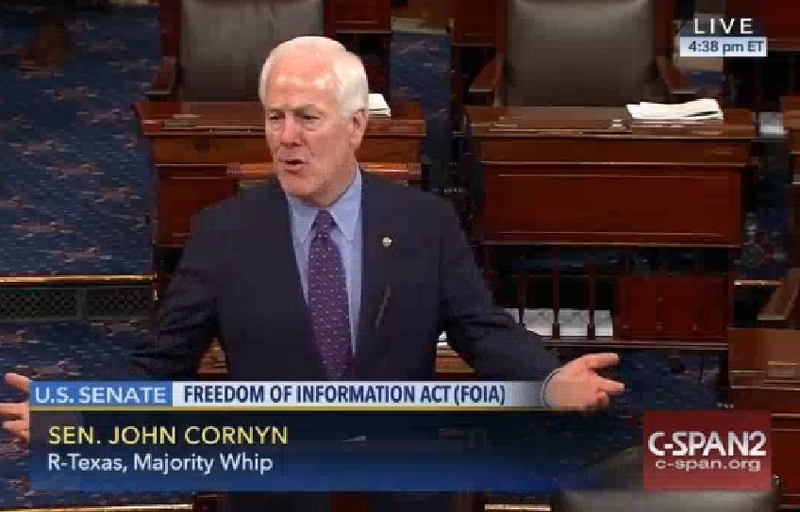 Proving again that FOIA “may be the last bastion of bipartisanship in Washington DC, Senators Patrick Leahy, John Cornyn, and Chuck Grassley” marked Sunshine Week by passing the FOIA Improvement Act of 2016 – via Unanimous Consent. The Archive’s FOIA project director Nate Jones notes that to pass the bill by Unanimous Consent, “the senators amended the bill that passed out of the Judiciary Committee to make it slightly less strong than the bill that the Senate passed last session. The section on Exemption Five reform was changed so that the 25-year sunset now only applies to the “Deliberative Process” privilege of Exemption Five (which covers drafts, and communications including emails and memos); the Attorney Client privilege and Attorney Work Product Privileges have been removed. The Presidential Records Act forbids the use of any Exemption Five privilege beginning twelve years after the president leaves office.” This will still prevent the DOE and CIA from their aforementioned abuse of Exemption Five. The Energy Department and its contractors continue to retaliate against employees and contractors that spoke to Government Accountability Office investigators, according to a recent McClatchy report. Senator Ron Wyden (D-Or), one of the three senators that requested the 2014 GAO investigation – itself into whistleblower retaliation – said that, “It defies belief that an Energy Department contractor would fire an employee who cooperated with a Government Accountability Office investigation into whistleblower retaliation,” going on to note that it shows the culture of retaliation is “alive and well” at the Energy Department. The Archive’s John Prados will be speaking at the Presser Auditorium at Ohio Northern University on Monday, March 21, discussing if there “Is There a Future for the CIA?” Prados has written a number of books, including: The Family Jewels: The CIA, Secrecy, and Presidential Power; The US Special Forces: What Everyone Needs to Know; and A Streetcar Named Pleiku: Vietnam 1965, A Turning Point. Stop by if you’re in the area! 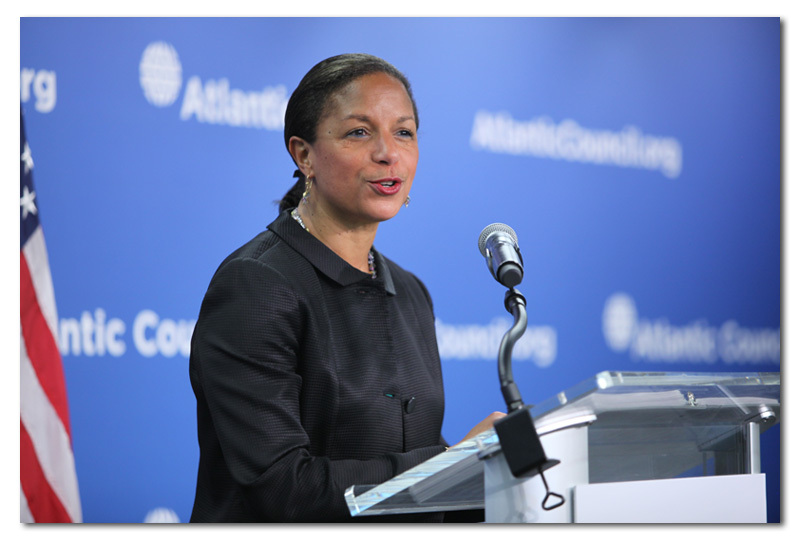 (Photo courtesy of Atlantic Council/Victoria Langton). As President Obama prepares to go to Argentina next week on the 40th anniversary of the military coup, the National Security Archive hailed his decision to declassify hundreds of still secret CIA and Defense Department records on the repression during the military dictatorship. The documents, whose release the Archive’s Carlos Osorio says demonstrates “tangible and concrete U.S. support for the pursuit of human rights and justice in Argentina,” are likely to shed significant light on the detailed U.S. knowledge of the repression during the dictatorship. To provide a historical context for the President’s decision to declassify more records on Argentina, the National Security Archive today posted a unique collection of documents that reveal initial support by secretary of state Henry Kissinger for the abuses of the Argentine generals.